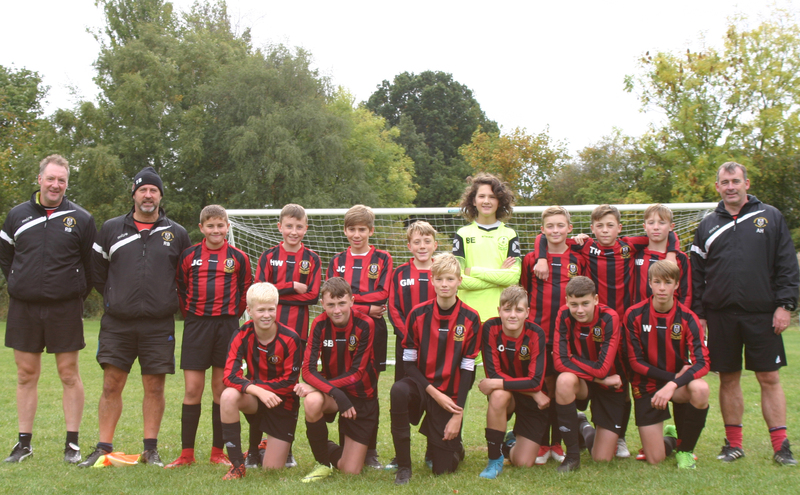 Hepworth United Junior U14 A 3 vs. 5 Gomersal & Cleckheaton U14 White - 14 October 2018 - Under 14 White - Gomersal & Cleckheaton F.C. What was a very wet and cold morning in Holmfirth turned out to be a great morning. The boys started quite well and finally got a goal, a great long shot from captain Sam Bottomley. Unfortunately the lead didn't last long as the midfield and defence switched off and let Hepworth back into the game just before the break. The boys heads didn't go down and the continued to play some good stuff. After the break Tim Hill netted after some good work, followed closely with Lewis Wilkinson meeting a corner with a fierce shot and scored. Tim Hill bagged another one soon after with a great turn and shot from the edge of the box to make it 4-1. George Martin finished the scoring for Gomersal with another great long range effort from outside the box. Further chances were wasted, but some of the football was great to watch. There was a real team togetherness about the boys who really played well for each other. In the last few minutes Hepworth got a couple back to finish the game 5-3. There were some great performances individually too from Sam Bottomley, Bryn Evans was confident and commanding in goals, Lewis Wilkinson goes from strength to strength each games he plays and was magnificent. The MOM was Elliot Atkinson who after moving deeper into midfield controlled the game, covered a lot of ground defensively and used his coolness on the ball to male some great passes. Well done boys great game.